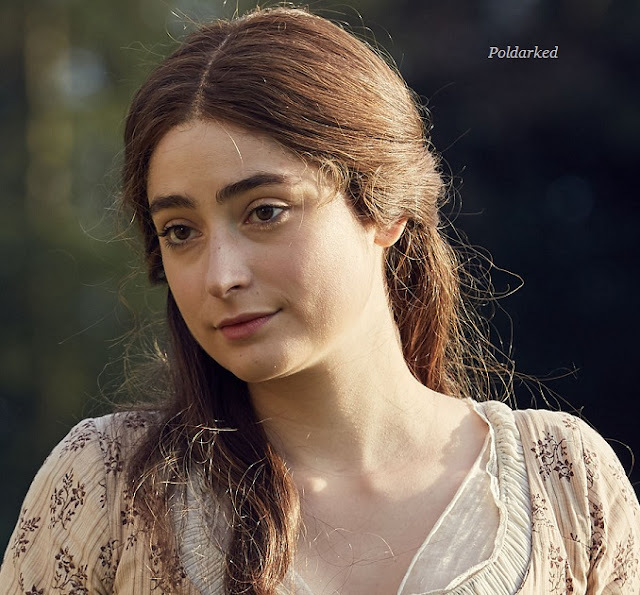 ‘Coming back in the disparate headspace Morwenna is in now and looking at everything with a new lens was entirely new because she is in such a very different place at the beginning of this series than she was when she entered the show in series three. ‘Morwenna has just found out about this relationship that her husband, Ossie (Christian Brassington), has had with her sister and she thought she could use this information against him and hoped it would keep him away from her but that doesn’t work. So in that moment where he is advancing towards her she is in complete desperation, which is why she makes this terrifying threat against her son, knowing that he is the most important thing to Ossie. ‘What I have been hearing from series three is that people really like Morwenna and Drake together and are rooting for them to be together which is wonderful. They are so pure, it is as simple as they love each other and want to be together and the fact that they can’t is not down to them, it is down to other forces pulling them apart.